SKU: P-WDXX26KD. 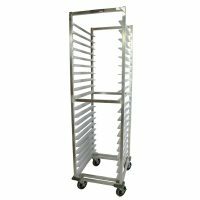 Availability: In stock Categories: Shelves, Racks, Etc., Racks: Pan / Screen. 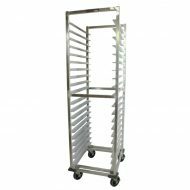 All welded aluminum racks with reinforced gusseted corners. 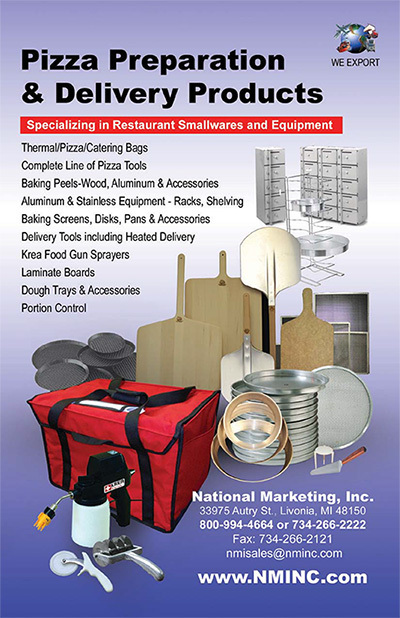 Holds standard 18″ x 26″ sheet pans. 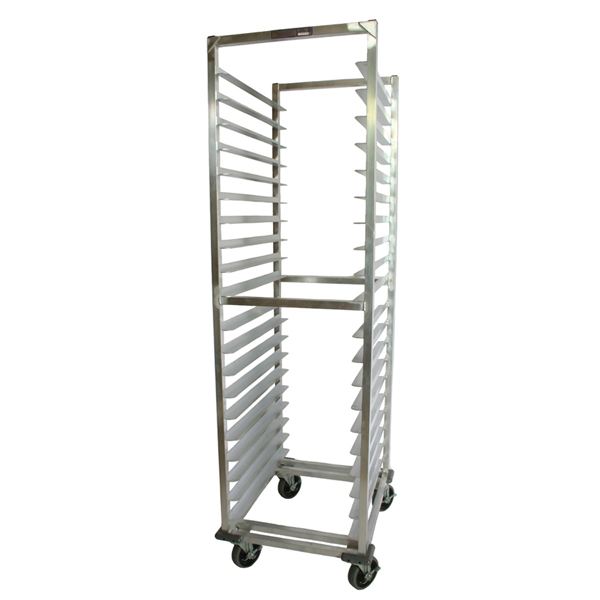 All racks are 28.25″ wide x 71.5″ tall x 18″ long. 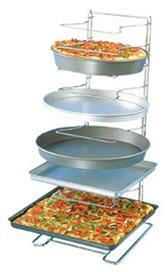 Each rack’s pan capacity is determined by spacing between the aluminum slides. 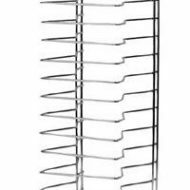 Note: Sizes indicate spacing between aluminum slides.